Raspberry cashew mylk chocolate made in Melbourne with organic raw cashews, organic raw cacao beans, wild raspberry and sweetened with organic evaporated coconut nectar. A decadent raw vegan chocolate treat packed with healthy antioxidants. 80 gram bar. Buying this product = 7 Reward points for Members. Your cart will total 7 points = voucher of $0.35. Not a Member? Join at checkout to claim these points. Minimally processed, ethically-sourced ingredients, made in Melbourne. Organic Raw Cashews (27%), Fair Trade Organic Evaporated Coconut Nectar, Organic Virgin Cacao Butter, Organic Raw Cacao Beans, freeze dried raspberry powder, organic cinnamon. Contains nuts. Cardboard packaging is made with 97% post consumer recycled fibre printed with vegetable inks (meaning new trees are not cut down to make the boxes). No heavy metals such as Lead, Cadmium, Mercury, Hexavalent Chromium, Antimony, Arsenic and Selenium are intentionally used in the manufacture of the printing inks, which would potentially be harmful to worms or seeping into water ways. 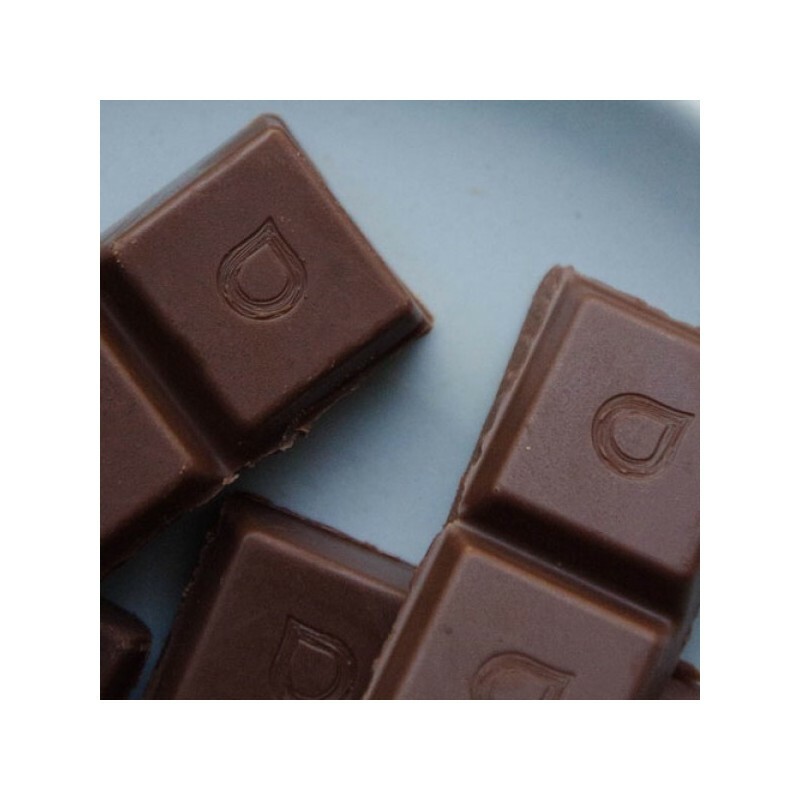 The clear film the chocolate is wrapped in, looks like regular plastic, but is actually 100% plant based (from renewable resources) and is completely home compostable. On a weekly basis. I mainly scoff the mint and more recently the lemon flavour Loving Earth chocolate. I’ve only tried this a couple of times so far but it’s very tasty, if not addictive. The texture is very good for vegan chocolare but it is best stored in the fridge.